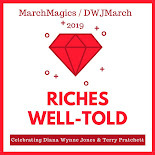 Time has flown by and there are only two weeks left until we get to officially celebrate Terry Pratchett and Diana Wynne Jones! As previously announced, I've crazily scheduled eight books for the month so feel free to pick and choose your own reads and rereads. I may be the only one who is going to read all eight but I've thoughtfully added up the pages and divided them out and spaced the dates to make enough time for all of the varying lengths of books. Why yes, I am a nerd. Because many of us are stressed these days, I want to keep the work part of the month low. I'll have a post up on each of these dates with a question or thought for us to discuss. 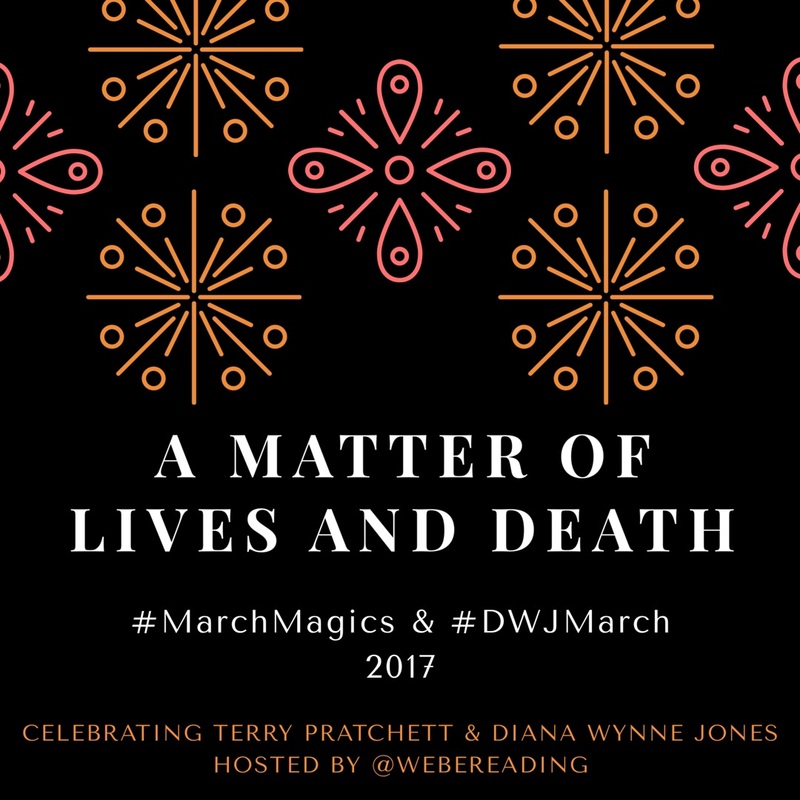 Feel free to join in even if you've just read the book in the past. 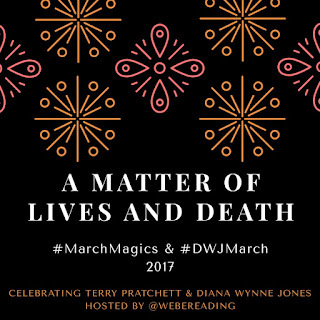 All DWJ and Sir Pterry fans are welcome! Hopefully I can manage to join in for some of this! Is it okay if I read Christopher Chant on slightly the wrong day? Can I do that? I was thinking of posting about it on the 6th? Would that be okay or would I get kicked out of March Magics? This is my schedule. You are more than welcome to have your own. I would never kick you out, my dear. :) I'm actually going to start Charmed Life pretty soon because I'm already in the mood to get going! I didn't get to participate last year, so I'm hoping to get to at least one book this year!